TIG Welding Stainless Pipe with PurgeElite® Pipe Purging System. PurgElite® is designed to drastically reduce the purging zone, saving welders both time and wasted inert gas costs. 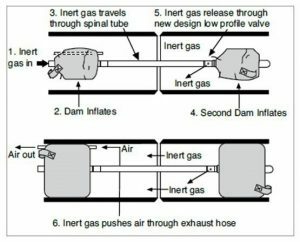 The Argweld® PurgElite Purging System product line has been an industry leader in pipe and tube weld purging technology for over 20 years, and pioneered the tandem inflatable purge dam concept which has become one of the most widely used purge methods for welding stainless steel, duplex, titanium and other pipe and tube joints. Due to the success and popularity of the original tandem purge systems, many companies have introduced copies of older Argweld® designs. The new PurgElite® series is the latest evolution of this type of purge system with technology and features ONLY available from Argweld®. 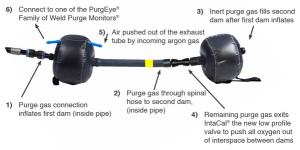 PurgElite® offers quite simply the fastest, easiest, most cost-effective pipe and tube purging systems. 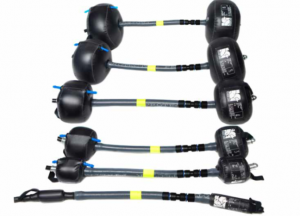 Primarily designed for smaller diameters of up to 6”, these are true plug-and-play systems with no valves to set, adjust or maintain, increased durability and heat resistance, and available for as small as one inch. Ideal for all grades of stainless steel and duplex, polished interiors, titanium, exotic metals and alloys. 16 models from 1” up to 24” (25 mm – 600 mm). Ensures clean, good and even penetration beads on all pipe joints. Saves time and inert gas costs. Oxide free, zero colour welds. 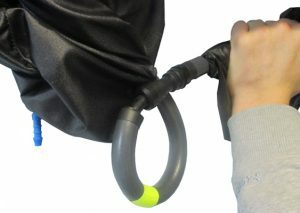 Spinal hose ‘flexible’ for all bends and elbows resistant to hot metal droplets. For all grades of stainless and duplex steels, polished interiors, titanium, exotic metals and alloys. 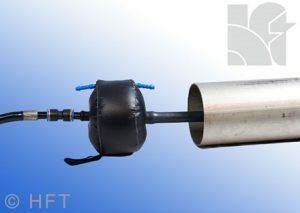 IntaCal® purge fittings replace older spring-loaded valve technology so there are no valves to adjust, set, or maintain and reduced risk of burst dams from over-inflation. True plug-and-play design. Center-point glow strip made from RootGlo® offers high visibility reference to position the system at the joint, with higher heat resistance and will not burn up and off-gas like cheaper versions. Argweld® PurgElite Purging System reduces operating costs and increases productivity with dramatic reductions in both gas usage and purge times, and frequently pay for themselves the first day on the job. These systems are used by fabrication and welding shops of all sizes as well as some of the largest contractors in the world including Bechtel, Kiewit, TIC, Shaw, Turner, Matrix, etc.